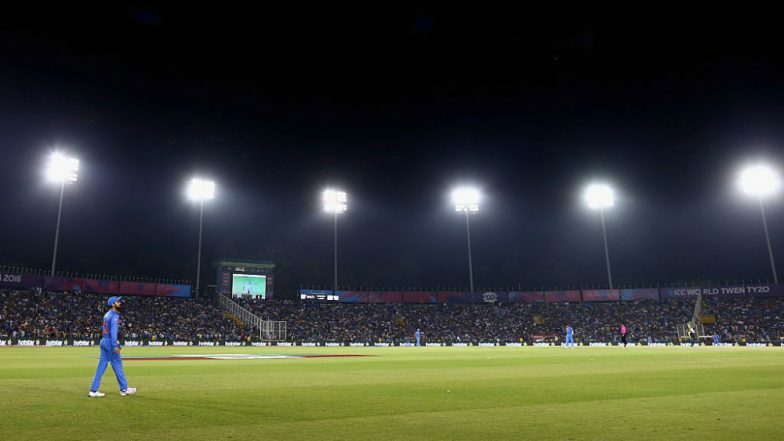 Kings XI Punjab (KXIP) hosts struggling Royal Challengers Bangalore (RCB) in the Indian Premier League 2019 (IPL 2019) match 28 at the Punjab Cricket Association IS Bindra Stadium in Mohali. RCB are yet to register a win match this season and in search of it land in Mohali. Interestingly, this will be the first match of the season between KXIP and RCB. Kings XI Punjab vs Royal Challengers Bangalore Live Cricket Score. It will be pleasant as far as the weather is concerned. The temperature in Mohali is just above 30 degrees and during the match time, it will be under 30. With overcast conditions, there is some chance of rain as well. Hope it stays away. Funny RCB Memes Go Viral Again As Virat Kohli and Co Take on Kings XI Punjab in IPL 2019 Match. Pitch Report: The pitch at the PCA stadium is expected to assist pacers a bit. In three matches at the venue so far, KXIP have won twice while chasing and once while defending. In the three matches, teams have been able to post around 150-170 on the board. KXIP vs RCB, IPL 2019 Match 28, Key Players: Chris Gayle to Sam Curran to Virat Kohli, These Cricketers Are to Watch Out for at Punjab Cricket Association Stadium. Kings XI Punjab Squad: Lokesh Rahul(w), Chris Gayle, David Miller, Karun Nair, Mandeep Singh, Sarfaraz Khan, Sam Curran, Ravichandran Ashwin(c), Hardus Viljoen, Mohammed Shami, Ankit Rajpoot, Mayank Agarwal, Simran Singh, Nicholas Pooran, Mujeeb Ur Rahman, Murugan Ashwin, Andrew Tye, Arshdeep Singh, Moises Henriques, Varun Chakravarthy, Darshan Nalkande, Agnivesh Ayachi, Harpreet Brar.